2101 is historically significant as it was the first production Olympian. 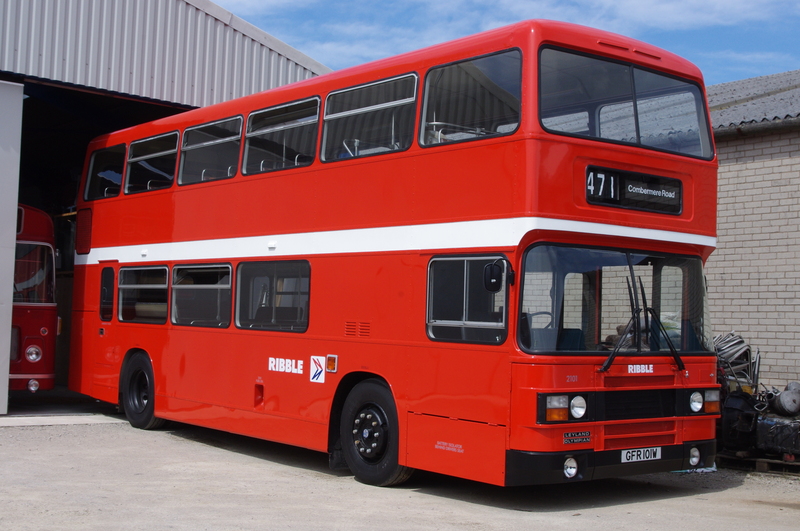 The Olympian proved to be the last high volume double deck chassis produced by Leyland although initially it was developed at the Bristol factory as a replacement for the Bristol VR range. The chassis of 2101 itself was built at Bristol. It entered service with Ribble in August 1981 and was still in service 20 years later when the east Lancashire operations of Ribble were sold to the Blazefield group. When withdrawn a few years later it was bought for private preservation and given an extensive refurbishment which included repaint into original NBC poppy red livery. Shortly after that the owner sold it to some RVPT members and it was added to our collection. It regularly attends rallies and related transport and heritage events.